The IPO window is still open for clinical-stage drug companies, and Athenex is now the latest one to pass through it. The cancer drug developer raised $66 million through a public stock offering on Wednesday, funding that the company will devote mostly to a pair of cancer drugs in late-stage clinical development. Athenex’s research focuses on the absorption of drugs by the body. The company turned its understanding of absorption biology into a way to make pill versions of intravenous cancer drugs. The company says in its IPO filing that oral forms of chemotherapy could avoid some of the dosing challenges and side effects of IV therapies. The Athenex treatment actually consists of two pills taken in sequence. The first pill blocks a mechanism that prevents the absorption of cancer drugs in the gut. This mechanism is the reason that some cancer drugs can only be given intravenously, Athenex says. The second pill is the oral form of the cancer drug. Athenex’s most advanced compound based on this technology is a pill version of the IV cancer drug paclitaxel (Taxol). 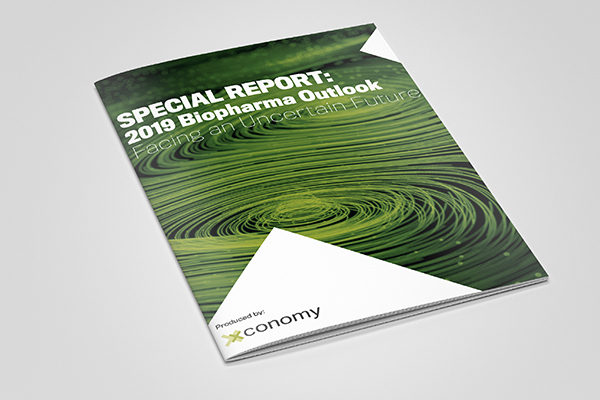 The company’s drug pipeline also includes pill versions of irinotecan, docetaxel, and topotecan in earlier stages of development. In 2015, Athenex began a Phase 3 clinical trial testing its pill version of paclitaxel, which it calls Oraxol, in patients who have metastatic breast cancer. The 360 patients in the trial were randomized to receive either the Athenex drug or IV paclitaxel. Athenex says in its prospectus that it expects interim results from the trial’s first 90 patients later this year. When those results become available, Athenex plans to start discussions with the FDA about using those interim results to file for regulatory approval. Athenex plans to apply $28 million of the IPO proceeds to this trial. Athenex is already planning to seek approval of its oral paclitaxel overseas. The company says it expects to submit filings for approval in New Zealand and Taiwan within the next 18 months. This Athenex drug could have applications beyond breast cancer. In 2015, Athenex began a research partnership with Indianapolis drug giant Eli Lilly (NYSE: LLY). The partners are now in a Phase 1 clinical trial testing the Athenex drug in combination with Lilly’s injectable cancer drug ramucirumab (Cyramza) as treatment for advanced gastric cancer. Athenex has also developed a way to block Src Kinase, a protein that regulates cell growth. The most advanced compound from this drug platform is KX-01, a topical ointment developed to treat pre-cancerous skin lesions called actinic keratosis. If untreated, between 10 and 15 percent of these lesions develop into skin cancers, Athenex says. The company plans to spend about $20 million of the IPO proceeds for Phase 3 trials testing KX-01 as a treatment for these lesions. The Src Kinase technology, in topical and pill forms, could also have applications in other cancers. A second compound, KX-02, was developed as a treatment for glioblastoma, an aggressive form of brain cancer. In 2012, Athenex licensed that compound’s development and commercialization rights in China to Xiangxue Pharmaceuticals. China’s drug regulators have granted Xiangxue clearance to begin clinical trials, according to the Athenex filing. Since its founding in 2003, Athenex says it has raised more than $250 million in private financing. The company, which has no FDA-approved therapies, spent $60.6 million on research and development in 2016, up from $24.4 million in 2015, according to the filing. The company reported having $26 million in cash as of March 31. 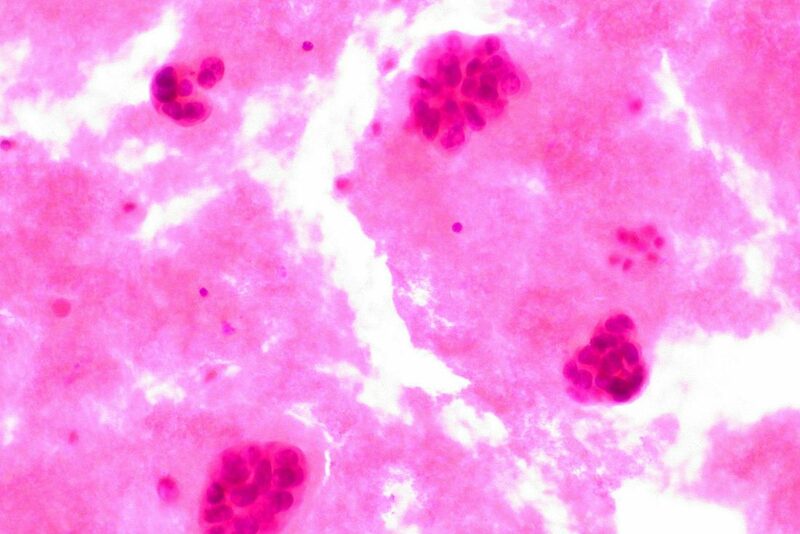 Image of metastatic breast cancer in pleural fluid by Flickr user Ed Uthman via a Creative Commons license.